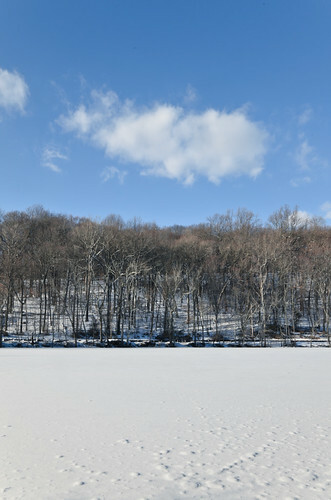 I had a little time at the end of last week for a mid afternoon walk around the snowy and icy banks of the Rahway River in South Mountain Reservation. 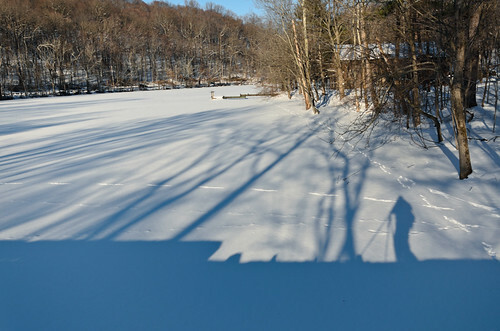 I brought my camera along to capture some of the beautiful scenery and long Winter shadows. 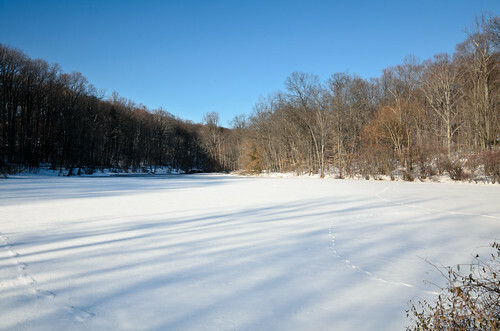 The view across Campbells Pond looking towards Brookside Drive and the western hillside of the park. 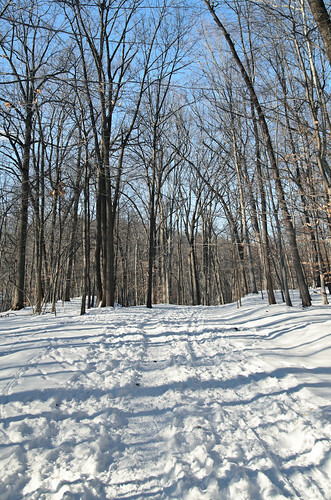 A well traveled road inside of the park. The low Winter sun makes some grand shadows through the beech tree woods. 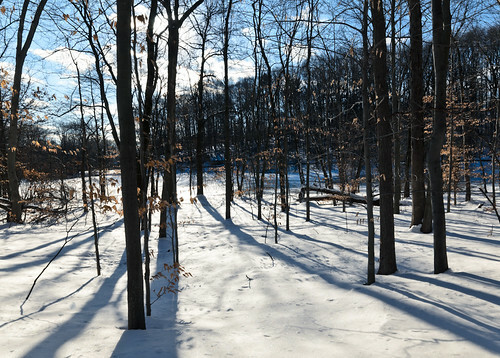 South Mountain Reservation will be closed on Tuesdays and Thursdays from now until January 27 to allow Essex County to run its deer management (hunting) program. 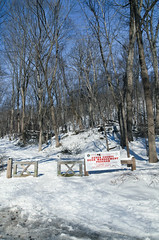 This program will then move to Hilltop Reservation and Eagle Rock Reservation for the month of February. More information on the hunt from NJ.com. If you enjoyed these photographs you can see more of my work at New Jersey Landscape Photography by Chris Casciano and buy photographs of scenic NJ for as little as $6. 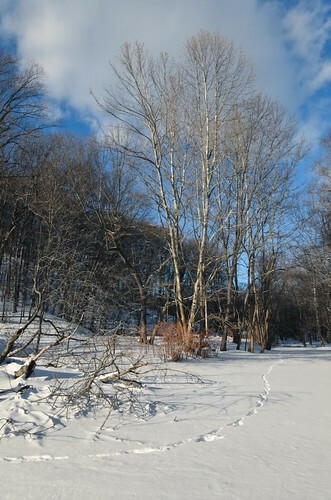 This entry was posted in Trip Report and tagged eagle rock reservation, hilltop reservation, photos, snow, south mountain reservation, winter. Bookmark the permalink.